Two classic works by Ursula K. Le Guin adapted by BBC Radio 4 will air in April, The Left Hand of Darkness and The Wizard of Earthsea. 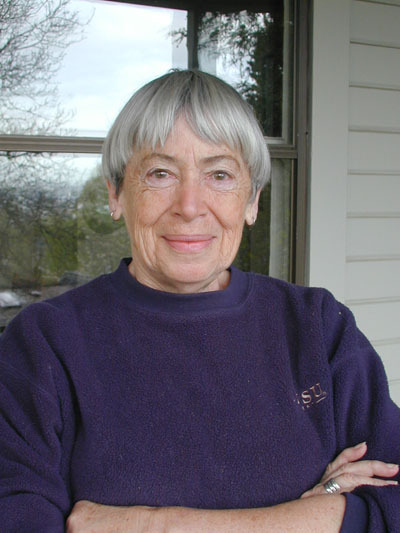 Accompanying these programs is a documentary about Le Guin’s influence on science fiction and fantasy presented by Naomi Alderman, with comments from authors Neil Gaiman and David Mitchell. The full 30-minute feature, and short introductory clips, are all online here. The two episodes of The Left Hand of Darkness have already debuted and will continue to be available til mid-May. The six-episode series of The Wizard of Earthsea will begin airing April 27, with each installment becoming available online after broadcast. Two short preview clips are available here. This entry was posted in Like Show Business and tagged David Mitchell, Neil Gaiman, Ursula K. Le Guin by Mike Glyer. Bookmark the permalink.